No rest for the venturers. Motel dress. Seychelles shoes. Daniel Wellington watch. Chloe + Isabel necklace. Deux Lux clutch. On any given weekend, you can find me at a solid LA coffee bar, laptop in hand. Totally enjoyed a warm, productive Saturday, sitting comfortable in my new Motel shirt dress. 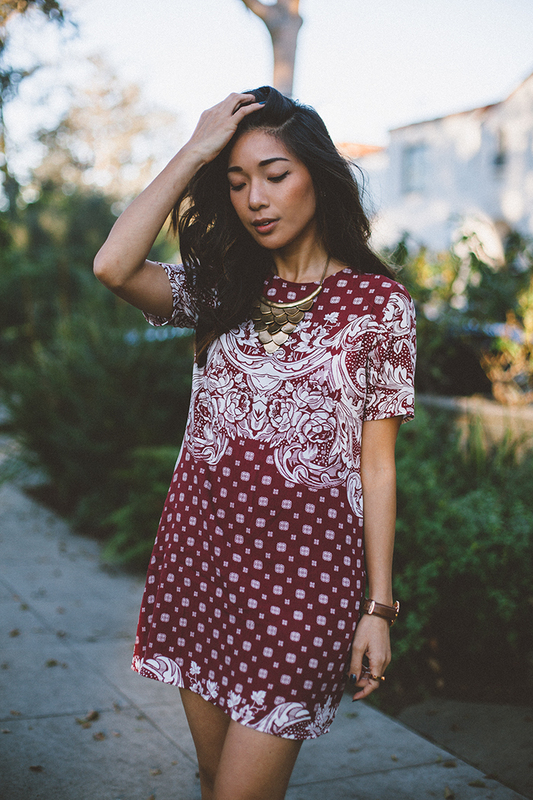 Love the fit and print of your dress! Your dress is so beautiful. What a divine pattern. 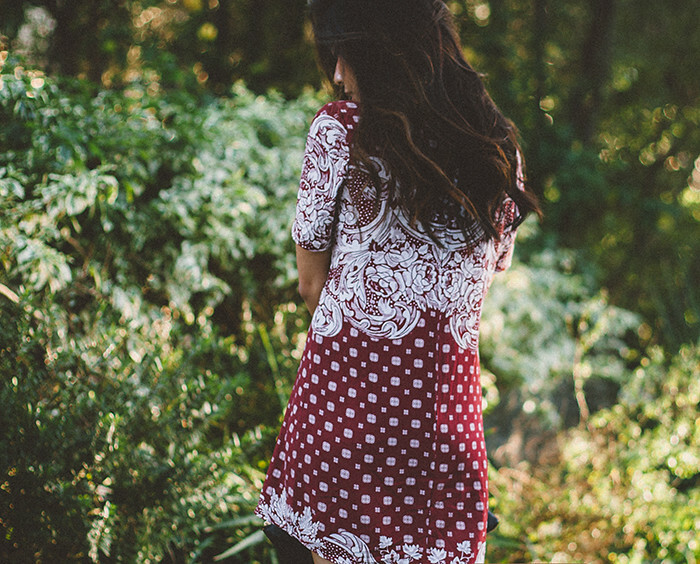 This dress somehow seems different than what you usually share with us, but still very you. Gorgeous!